There are some great childcare agencies in Morzine offering a variety of different options for you if you’re looking for someone reliable to look after your child whilst you ski. These agencies offer a daytime nanny service and also babysitting in the evening if you fancy going out after the children have gone to bed. Most companies will tailor their service to suit you and your needs. These companies often book up quickly, especially at peak times like half term, so we advise you to book as soon as possible. For guests staying at our Reach4thealps chalets in Morzine (catered or self catered) we recommend the child care agencies below. Cheeky Monkeys was set up in the summer of 2005 and has proven to be very successful. It’s run by Sharon McRae who has spent the last 6 years offering childcare in Morzine and prior to this has 10 years experience in the childcare industry. Cheeky Monkeys offer an in house nanny service for children from 3 months of age and have a kids club for over 4 year olds. For older kids (ages 3 -12) the nursery Club Des Piou Piou is excellent. It has a large snow park area (with beginner tows, giant snowmen, pandas and other fun toys) where ESF instructors provide ski lessons. If the children aren’t skiing, other activities such as face painting, drawing etc. is organised to keep them amused. Alpine Resort Nannies offer a variety of childcare options.They have personally been there and done it so they know what it takes to organise, supply and carry out quality childcare in this unique environment. Providing the best childcare for little ones results in a perfect Ski holiday! There is also a French run creche. 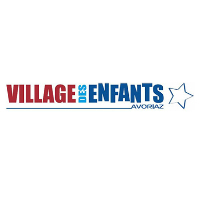 L’Outa Creche for children from 3 months up to 6 years in Morzine. The nursery is housed in a large chalet situated in the centre of town, the qualified staff often play with the children outdoors in the chalet’s garden. Booking from November, Tuesdays and Thursdays from 9 am till 12 am. Guests staying at Brown Bear Lodge & using the Ardent telecabine will find ESF Montriond a great option. For kids (ages 3 1/2 years old) the nursery Club Des Piou Piou is excellent. It has a beginners area in Linderats where ESF instructors provide ski lessons. They can also provide lunches & nap time!